Home » Original Article » Is urotherapy alone as effective as a combination of urotherapy and biofeedback in children with dysfunctional voiding? Is urotherapy alone as effective as a combination of urotherapy and biofeedback in children with dysfunctional voiding? Objective: To compare standard urotherapy with a combination of urotherapy and biofeedback sessions and to determine the changes that these therapies promote in children with dysfunctional voiding. Patients and Methods: The data of 45 patients who participated in the study from January 2010 to March 2013 were evaluated. All patients underwent urinary system ultrasonography to determine post-void residual urine volumes and urinary system anomalies. All patients were diagnosed using uroflowmetry – electromyography (EMG). The flow pattern, maximum flow rate, and urethral sphincter activity were evaluated in all patients using uroflowmetry – EMG. 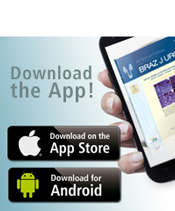 Each patient underwent standard urotherapy, and the results were recorded. Subsequently, biofeedback sessions were added for all patients, and the changes in the results were recorded and statistically compared. Results: A total of forty – five patients were included, of which 34 were female and 11 were male and the average age of the patients was 8.4 ± 2.44 years (range: 5 – 15 years). After the standard urotherapy plus biofeedback sessions, the post-void residual urine volumes, incontinence rates and infection rates of patients were significantly lower than those with the standard urotherapy (p < 0.05). A statistically significant improvement in voiding symptoms was observed after the addition of biofeedback sessions to the standard urotherapy compared with the standard urotherapy alone (p < 0.05). 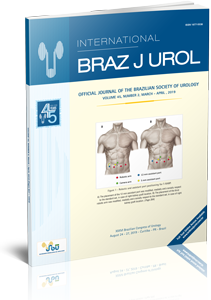 Conclusions: Our study showed that a combination of urotherapy and biofeedback was more effective in decreasing urinary incontinence rates, infection rates and post – void residual urine volumes in children with dysfunctional voiding than standard urotherapy alone, and it also showed that this combination therapy corrected voiding patterns significantly and objectively.